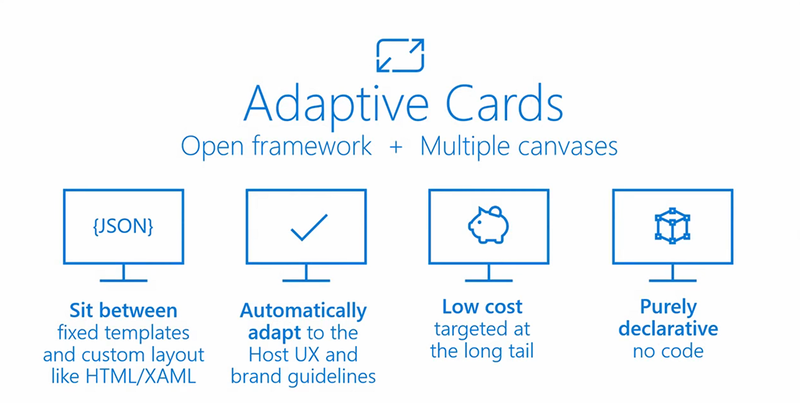 During the Windows Developer Day 2018 keynote, Kevin Gallo talked about Adaptive Cards and how they can be used to provide a flexible way to present your content and your data. Adaptive Cards gives you the tools to create scale across any engagement surface. 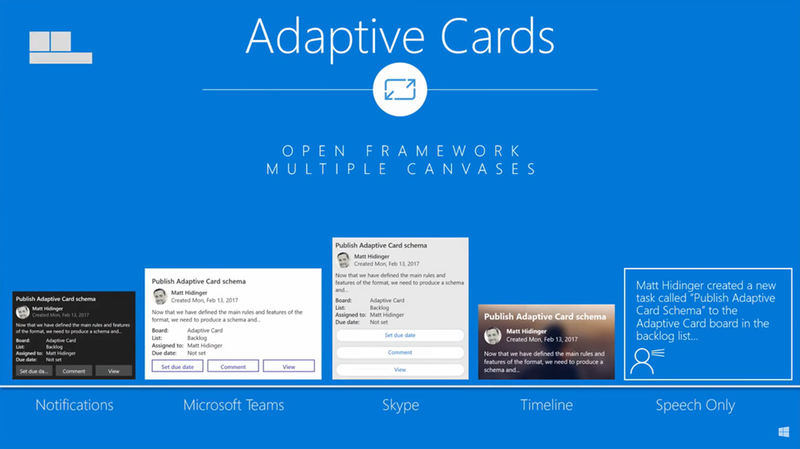 Adaptive Cards was first announced at the Microsoft Build 2017 conference and has now come out of preview and is generally available as a 1.0 product. When Windows 10 Spring Creators Update is released, you will be able to use Adaptive Cards on the Windows Timeline along with other experiences like a bot, Skype, Notifications, Teams and so much more.